Does Life Get Any Better After Filing For Bankruptcy? The answer to that question is a resounding YES!! Most people with whom I meet all believe the same thing at the initial consultation: That filing for bankruptcy will signal the end of times, and that they will never be able to do anything ever again. That bankruptcy may get rid of their debts, but that they won’t be in a position to purchase or finance another item for the rest of their lives. Well, the exact opposite is true. To begin with, the courts describe bankruptcy as a ‘fresh start / clean slate‘. It is a chance to wipe the slate clean, and start fresh. It is a chance to pick yourself up, and dust yourself off. And the opportunities to rebuild your credit (in terms of score and rating) will be immediate following the discharge of your debts. In a St. Louis Chapter 7 bankruptcy, you will receive a discharge of your unsecured debts (like credit cards and medical bills) roughly three to four months after filing. Upon receiving your discharge, you can expect your credit score to jump 20 to 30 points up just from that. And then depending on how aggressive you want to be in rebuilding your credit (the credit card companies, for instance, will flood your mail box with applications once you receive your discharge), you can achieve a credit rating that exceeds anything that you had previously enjoyed. But then that’s the whole point: To put you in a position where you can reestablish your financial standing. A St. Louis Chapter 13 involves a repayment plan over the course of three to five years. Most people think that being inside a Missouri Chapter 13 is worse than doing a Missouri Chapter 7, but there are enormous benefits that come with a Chapter 13. For instance, once you complete the Chapter 13 plan, you will notice that your credit score will have markedly improved. The reason for this is because you will have had monthly, methodical payments to the Chapter 13 Trustee who in turn disperses these funds to various creditors. And then any unsecured debts that still exist at the end of your plan are discharged (i.e. knocked out). In this way, your score will increase greatly. In addition, it is important to point out how much less stress is involved when you take care of your debts by way of a Missouri bankruptcy. Getting rid of that burden is worth its weight in gold. And you also will no longer have to deal with nasty calls from collection agencies, and the threat of being sued. In the end, it is our goal to put you in a position where you can begin to rebuild not only your finances, but your life and wellbeing. 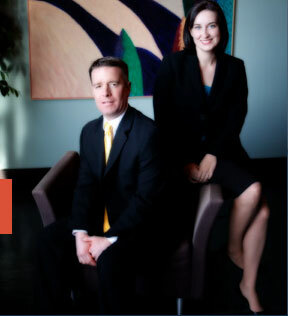 The St. Louis bankruptcy attorneys at Brinkman & Alter, LLC have the knowledge and skill to make this happen, and help guide you through the process from start to finish. And of course all of our phone conversations and office consultations are free of charge.